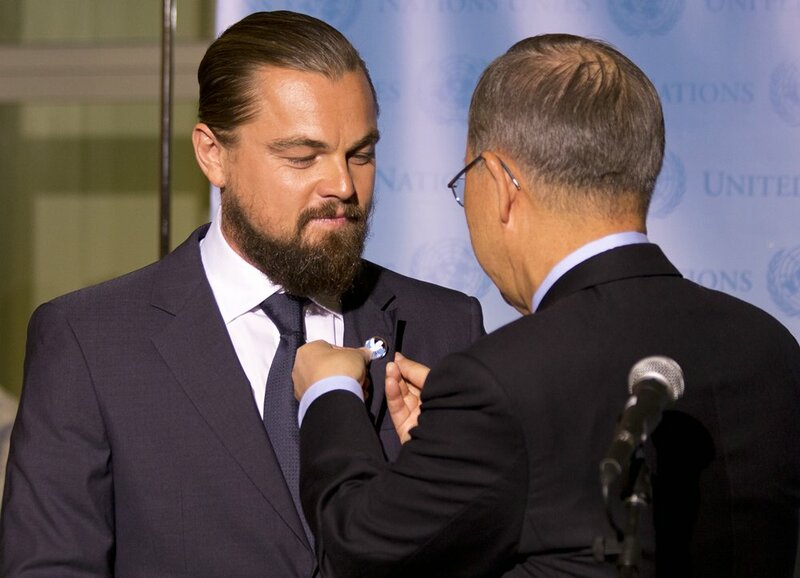 The Secretary-General Ban Ki-Moon designated the Academy Award-nominated actor and committed environmental activist earlier last week as a MOP (Messenger of Peace) with a special focus on climate change. DiCaprio has a longstanding commitment to fighting for environmental causes, not least the substantial funds raised and generous grants provided to environmental protection and conservation projects through his foundation. Since that time he has worked on some of the most pressing environmental and humanitarian issues of our day. Through grant making, public campaigning and media projects, he has brought attention and needed funding to three focus areas — protecting biodiversity, ocean and forest conservation, and climate change.